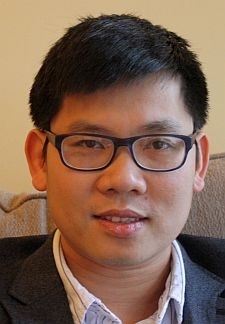 Dr. Phu H. Phung is a researcher at Department of Computer Science and Engineering, Gothenburg University (Sweden) and currently holds a joint appointment as a research associate at Department of Computer Science, University of Illinois at Chicago (UIC). Prior to that, he was a postdoctoral researcher at Chalmers University of Technology (Sweden), where he received his PhD degree in 2011. He received an MSc degree from University of Ulsan (South Korea), 2006, and a bachelor degree from Ho Chi Minh City University of Technology (Vietnam) in 2001. In 2010, he spent 3 months as a visiting researcher at Stanford University. From 2001 to 2004, he was a lecturer at Department of Computer Science and Engineering, Ho Chi Minh City University of Technology.